“The Mysterious World of Doctor Strange is a lavishly illustrated tour of the unique, mind-bending universe of Stephen Strange, Sorcerer Supreme and Marvel Super Hero extraordinaire. 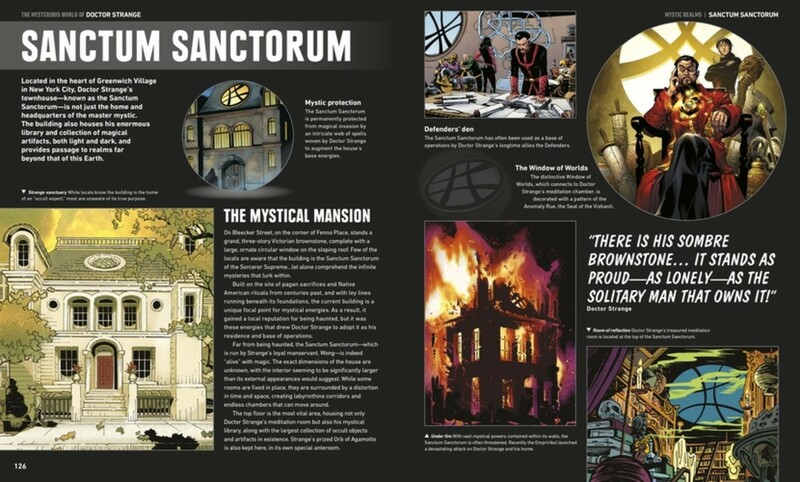 The brainchild of Stan Lee and Steve Ditko, Doctor Strange opens the doors to a wonderland of otherworldly dimensions, mystics and monsters, and demons and demigods. 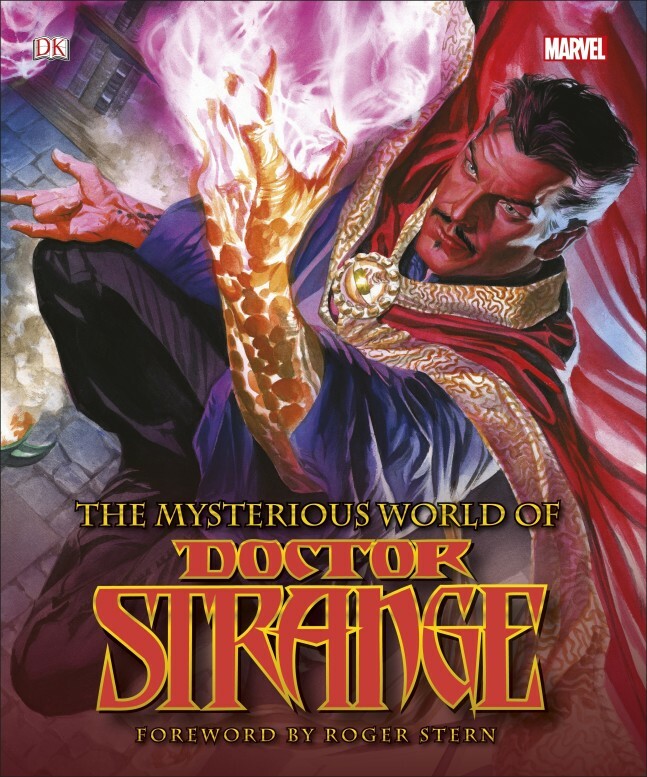 I’ll admit up front that I was apprehensive about this Doctor Strange book, in the same way I was surprised that he was chosen for a feature film. You see, Earth’s Sorcerer Supreme has always been a second tier Marvel character. There’s been significant periods of time where we haven’t even see him in a monthly book, and several of his series were bi-monthly books, or split-title books, like Strange Tales, which he shared with the likes of Nick Fury and Cloak and Dagger. 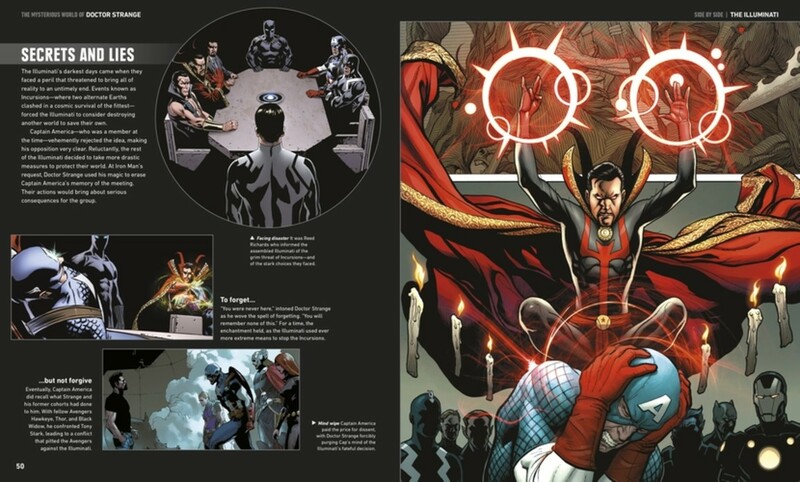 In many ways, Doctor Strange is one of the most powerful characters in the Marvel Universe. He’s taken down Galactus, exiled the Hulk, and defended the Earth from extra-dimensional threats on multiple fronts. All the while, the Earth’s population go on with their daily lives with no concept of the battle he fights on their behalf. And that power level is what I believe makes him so difficult to write well. Now let’s get back to this book. The Mysterious World of Doctor Strange does live up to its advertised billing. While there’s a significant focus on Strange’s recent adventures, the book does a really good job at acknowledging the silver age contributions that established this character’s place in the marvel Universe. As with all great DK books, this one breaks down Strange’s world by outlining his friends and foes as well as the cosmic entities he encounters and entreats. Easy and fun to read, this hardcover’s a great primer or refresher on the good doctor’s career. 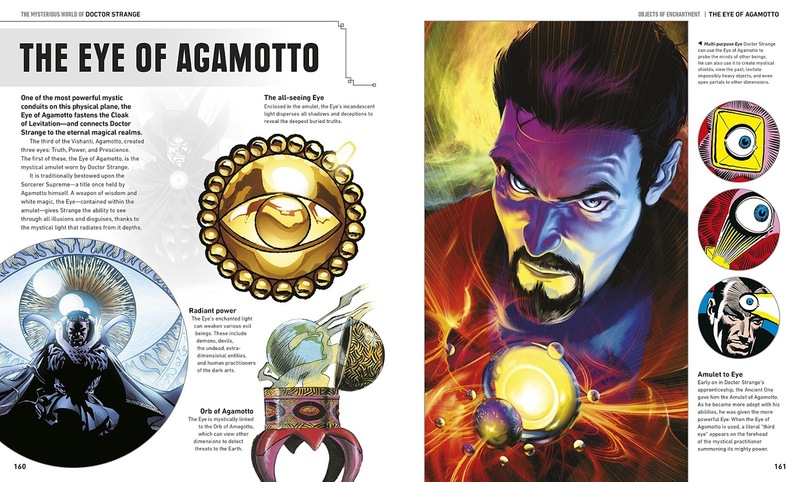 With the movie less than a couple of weeks away, you don't have to look any further as this book shines the all-seeing light of the Eye of Agamotto on Doctor Strange! 1981 - Just How Strong Is... Spider-Man?